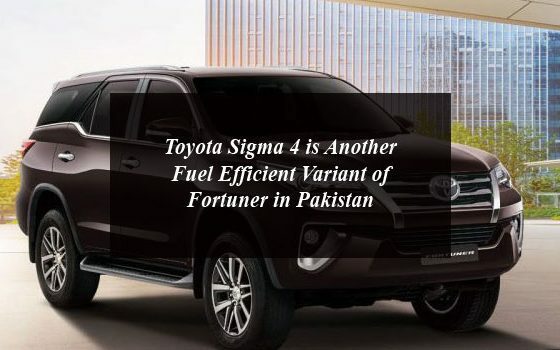 The Indus Motor Company has launched another Fortuner variant named Sigma 4. The new Toyota Sigma 4 is the diesel variant that the company launched at the beginning of 2018, but it is ultra-efficient and more powerful than formerly introduced. The company has launched the Toyota Fortuner two years ago in Pakistan along with the Hilux Revo. The new version is equipped with latest facilities, comfort and stress free driving offer the experience like that of a car. There are also numerous other improvements over the base petrol engine variant. Diesel engines are comparatively loftier to gasoline engines in fuel economy (lower CO2 emissions). Toyota diesel engines are furnished with a common-rail system that can add ultra-highly forced fuel at any time hypodermic in addition to several steps thanks to the electronically controlled injectors. 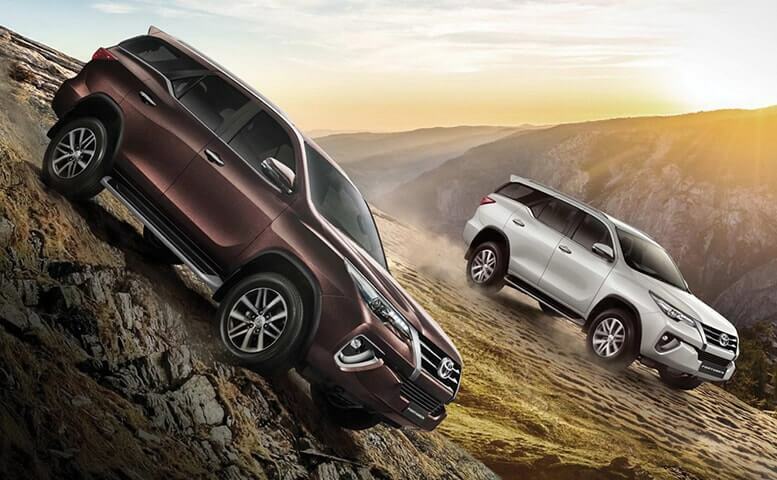 The 1GD-Diesel engines of the newly introduced version of Fortuner electrically controlled fuel injection systems and the cutting-edge emission after-treatment technologies are being swiftly familiarized into diesel engines to attain advanced ecological and driving performance. Toyota Indus Motors Company has arranged an experiential drive activity with Fortuner in Karachi, which is attend by the number of people to witness the drive experience the new SUV offers. The test drive was off course the purpose-built as the company has arranged the SUV to display its effectiveness at the 7 different landscapes like a bumpy ride, muddy, rumble steps, rocky, side-incline, uphill and downhill, and a waterbed to test Suspension, Downhill-Assist test, Hill-assist control, etc. The test drive has proved that the Toyota Sigma 4 comes with some high-end components that make it a good companion on-road, and also off-road. The company has added the Stigma 4 system with its Active Traction Control (A-TRC), Limited Slip Differential (LSD), and other hill assist modules that lets the SUV to handle all autonomously as the driver the driver doesn’t have to switch back and forth between the brakes. At the launch event of the diesel variant of Fortuner Toyota has promised it a more refined and a much more powerful SUV. This compact SUV is available having Super White, Attractive Black, Silver Metallic, Graphite, Bronze Mica, Strong Blue and Phantom Brown. For detail information regarding the new Fortuner Version visit the Toyota IMC official website.